Co-Optimus - Video - Base, this is Fireteam Bravo 3. ETA Now January 2010, Over. Base, this is Fireteam Bravo 3. ETA Now January 2010, Over. Assuring us that development is "on schedule", senior producer Mark Rogers has announced that the original November 12th release date for SOCOM U.S. Navy SEALs: Fireteam Bravo 3 has been shoved back to January 12th, 2010. After our PAX hands-on and GameSpot's recent preview video, we're definitely looking forward to checking this title out. 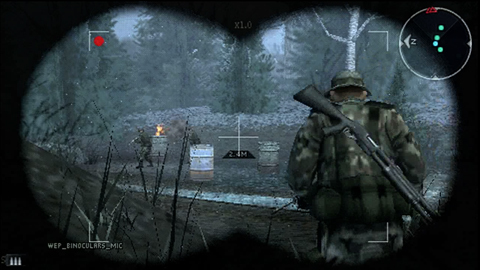 Fireteam Bravo 3 brings four-player local and online co-op to the PlayStation Portable, and not soon enough! Page created in 0.5449 seconds.